The supreme rule of the Inca was called the Sapa Inca. He and his royal family in Cuzco were the top of Inca hierarchy. Under them were the people who lived in the Cuzco Basin. These people were Inca by honor, but not by ancestry. The heads of state and church were all members of the royal family. Military and government leaders could come from both classes of people. Next, below them were people who were subsidized by the government because of their occupation. Probably, the most important of these were the empire accountants or quipukamaks. Engineers, agronomists, and hydrologists also enjoyed a great deal of prestige. 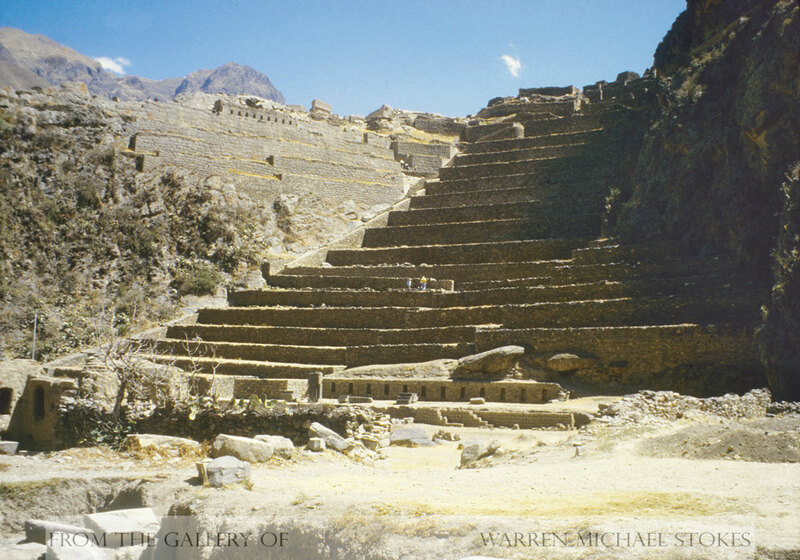 Money was not used in ancient Peru. Instead, taxes were usually extracted in the form of labor. Two other systems of taxation existed. The average person also paid agricultural and textile taxes. Both men and women were taxed by requiring them to weave textiles and produce cloth. Heads of state wore the finest of clothing. Cloth was used as a valuable reward for Inca service. Also, agricultural taxes were charged so that people would be provided with food and drink. Commoners were not allowed to own land. Lands devoted to supporting the gods were harvested first, these were followed by the lands for the royal family. The last fields harvested were for the local community. The Incas excluded the upper classes from working in the fields. Mita service was the other major form of taxation. Every able bodied male was required to work on major construction projects or serve in the military. The foundation of the Inca economic system was the ayllu. The ayllu is a system in which a group of related individuals exchange labor and cooperate in the management of land and herds. Ayllu's also manage water resources. Membership in a ayllu is based on kinship and lineage. Ayllu's were named after their founding fathers. Taxation required an accurate inventory of the people and their resources. As new provinces were incorporated into the ever expanding Inca Empire they were immediately inventoried by the quipukamaks. The quipukamaks carefully counted the livestock, field sizes, and ages of the inhabitants. Males were graded by age and organized in decimals. The smallest taxation unit was composed of ten taxpayers and they were overseen by a foreman. In turn, ten of these units were overseen by a chief called the Pachaka Karaka. The supreme chief was called the Hona Karaka or lord, and he was in charge of collecting the taxes from a unit of 10,000 people. The Hona Karaka reported directly to the governor. With millions paying taxes, the Inca Empire was enormously wealthy. The Karaka positions were hereditary and they were believed to be intermediaries between the heaven and earth. They also, managed the ayllu's resources, mediated quarrels, and making sure everyone had enough to eat. Karakas also provided chicha corn beer and food for all during religious celebrations. Reciprocity was expected from all of the leaders as a reward for the ayllu's hard work.